This can be a one-time, manual step if the kubernetes cluster is long- lived. But for cases where the setups are tied into a CI/CD framework, whole clusters may be created and destroyed frequently along with the apps being tested. This requires an automated way to configure Avi every time a Kubernetes cluster is created. 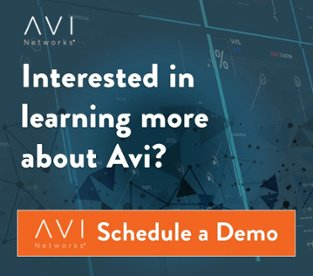 Avi provides a suite of automation options like a Python SDK and Ansible to enable developers to add Avi configuration to their CI/CD pipeline. This article explores one such option, where we run an Ansible playbook as a Kubernetes Job to gather details about the cluster its running on and configure a Kubernetes Cloud on a designated Avi Controller to manage it. The kubernetes object specs can be found in avinetworks/devops github repository. As shown above the task of configuring a Cloud on Avi is achieved by creating a Kubernetes Job and providing it with the necessary configurations. The Job creates a Pod utilizing the avinetworks/avitools image, which contains Ansible and all other dependencies installed in it. The Ansible playbooks are mounted to the Pod by adding ConfigMaps to the Job. The cloudinit-configmap contains the Ansible tasks, while the aviansible-configmap contains setup specific variables and Avi objects (networks, IPAM/DNS profiles, cloud config, etc). The Avi ServiceAccount is added to the Job definition so that the service account Token associated with it gets mounted on the Pod and can be used for cloud config. The avirole ClusterRole defines the level of access Avi Controllers get on the Kubernetes cluster. Check this KB for more details: https://avinetworks.com/docs/18.1/kubernetes-service-account-for-avi-vantage-authentication . ns_attribute_key Key - value pair to identify Ingress nodes. If the tasks and configurations remain same, only the variables in this file will need change for each cluster, other files will remain unchanged. The aviconfig.yml contains the configurations for various objects in Avi, like networks, IPAM and DNS profiles, and cloud. Here we leverage the aviconfig ansible role to specify all objects in the same yaml which is consumed by the task in main.yml. The role handles the order of creation of these objects on Avi. For more information on aviconfig role check the github repo. The main.yml contains the main ansible playbook which gets executed in the Pod. It references the variables from avi_vars.yml and configuration from aviconfig.yml.